"What a girl wants" for Christmas Day 6: Karl Lagerfeld! Here comes the ultimate indulgence and a very special gift recommendation. 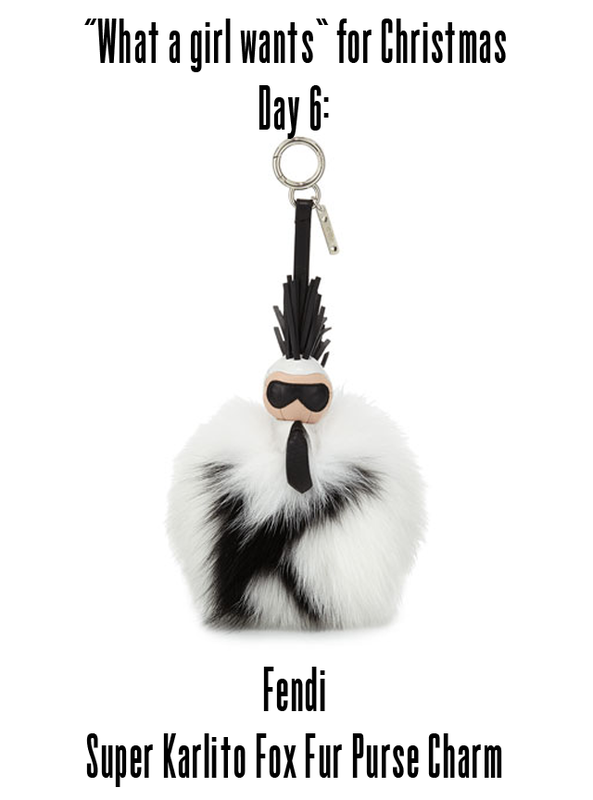 What fashionable lady wouldn't want a furry Fendi Karl Lagerfeld dangling from her purse in the new year? I mean, just look at this fabulousness in monochromatic fur. This is decoration for a diva if I ever saw it, and damn it I want one. So it's $1,450. Yes, like I said, it's the ultimate indulgence. Dear Santa, I promise I'll be extra good as long as you bring Karl down the chimney for me this year!